Josie Gower was victim of the California mudslides. (CNN) - The vicious mudflows that raced through the Southern California town of Montecito last week were swift and ruthless. Families were ripped apart when they were swept away, with some victims surviving while others did not. At least 20 people were killed and four others were missing as authorities searched through the destruction for signs of them. Four of the deceased were children and three of the victims were in their 80s. Rohter founded St. Augustine Academy in Ventura, California, in 1994, current headmaster and friend Michael Van Hecke said. In a statement, Van Hecke said Rohter and his wife were swept away from their home in Montecito. She was rescued and is in stable condition. Her husband did much for Catholic causes, Van Hecke said. "Roy's life has been in service to his good, loving and ever-forgiving God," Van Hecke said. "Thousands have been blessed by the Rohters' friendship and generosity." Van Hecke said Rohter, 84, talked about wanting prayers for when he died. "He said so many times that after his passing, 'Make sure everyone prays for my soul.' We will, Roy!" Rohter and his family spent eight days at Hecke's house in December when the Rohters were evacuated because of fires, Van Hecke said. Friends described Josie Gower, 69, as a warm and loving person. Diane Brewer knew her for 54 years. "She was very gregarious, very unique. In so many ways she was so beautiful," Brewer said. Brewer said Gower lived passionately, whether she was interacting with children, grandchildren, friends -- or strangers. "Everyone loved her. She truly was one of a kind," Brewer said. She said she never spoke negatively about anyone. Gower loved to travel, she said. "And she would always stop to give cookies or other treats to people at the YMCA," she said. The married couple was swept away from their home where they lived for about 20 years, according to CNN affiliate KSBY. Jim Mitchell, 89, loved cars and he and Alice, 78, were fond of their mixed toy poodle, GiGi. They are survived by a daughter, son and grandchildren, KSBY reported. James Weimer, the Mitchells' grandson, spoke to CNN affiliate KCAL at a vigil for the 20 victims on Sunday night. "My grandma would, every Saturday, she would get her hair ready expecting me to come over," Weimer said, according to KCAL. He said his family gathered recently for James Mitchell's 89th birthday and his grandmother looked great for the get-together. "My grandpa thought she looked like a Hollywood movie star and that was the last time I saw them," said Weimer. Jonathan was 10 years old. He was also mourned at the vigil, which was held at the Santa Barbara County Courthouse Sunken Garden. Anthony Rodriguez taught Jonathan in Sunday school, CNN affiliate KCAL reported. "He was an amazing kid. He was so good with everybody. He always put a smile on somebody's face. We even had our own little handshake and everything," said Rodriguez. Riskin was a Los Angeles native and a longtime real estate agent. The founder of Riskin Partners, she moved to Montecito in 1990, according to a biography on her company's website. 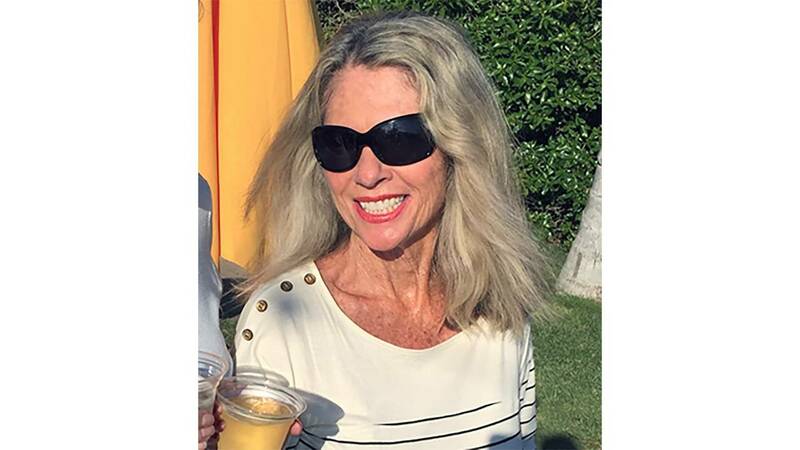 The luxury real estate agency called her loss "incredibly devastating" and said Riskin was an exceptional woman. "We intend to carry out her life's work with the same strength, grace and elegance that wholly defined Rebecca," the statement said. She is survived by a husband and two adult children. Riskin was 61, according to CNN affiliate KEYT. The former professional ballerina was known as the first lady of luxury real estate, KEYT reported. Pinit Sutthithepa, 30, was found dead Saturday "in the area of Hot Springs Road near Olive Mill Road during search and recovery efforts," the Santa Barbara County Sheriff's Office said. His 6-year-old son, Peerawat, and his father-in-law, Richard Loring Taylor, 79, were found dead Tuesday. His daughter, Lydia, 2, remains missing. The Santa Barbara County Sheriff's Office released the names and ages of the victims.